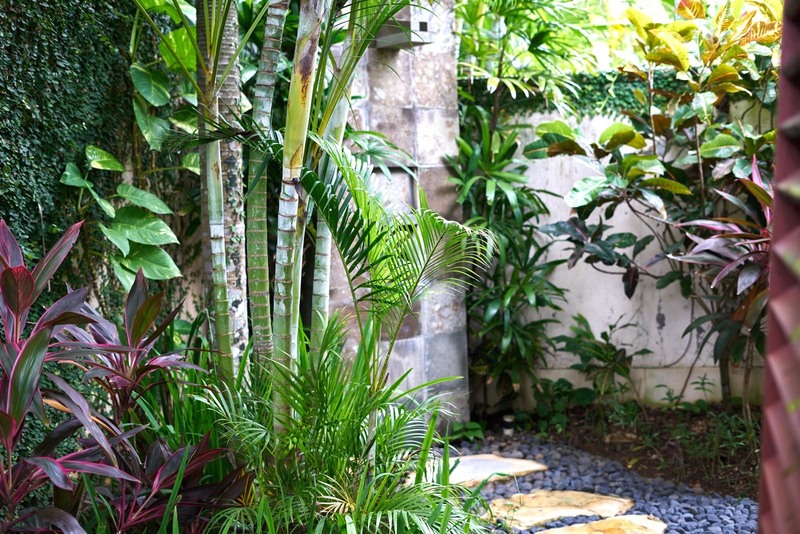 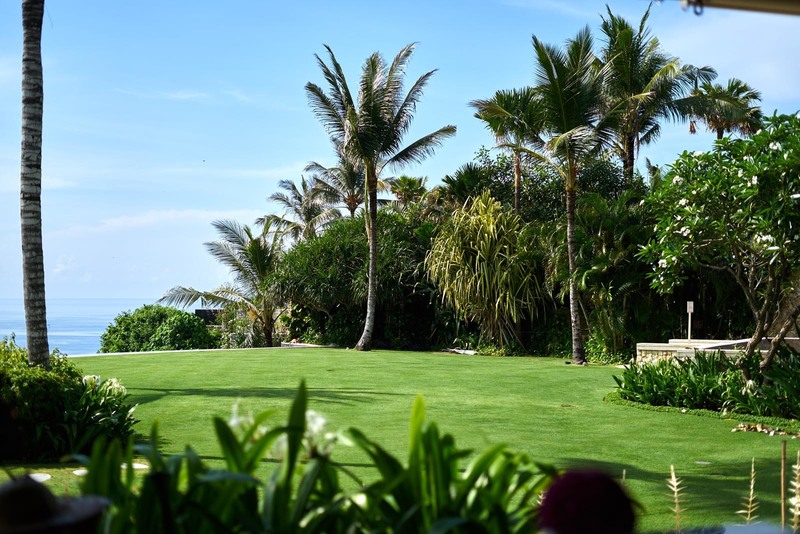 Standing 70 meters above sea level is 7.5 hectares of exquisitely kept tropical gardens; and home to these magical grounds are 7 luxury villas, each with their own personality and unique flair. 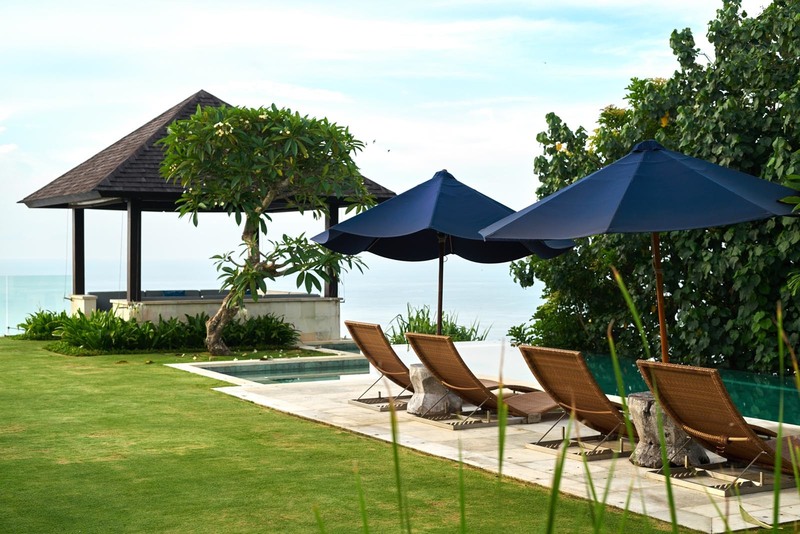 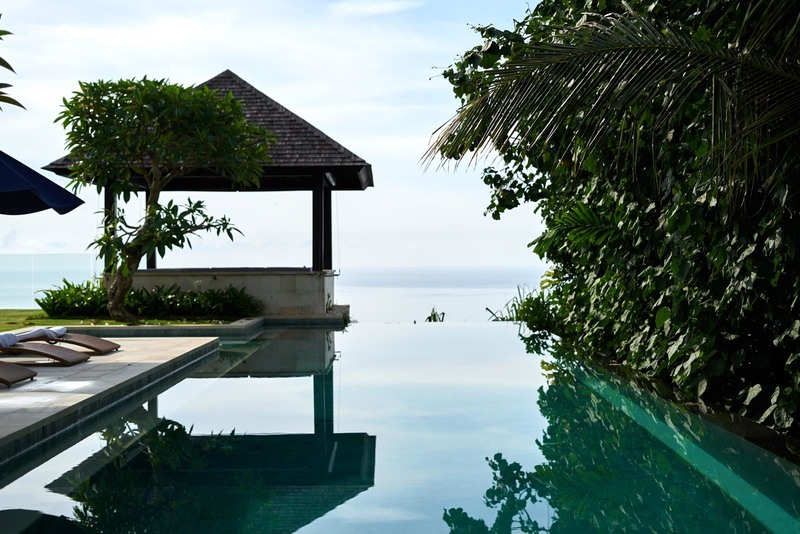 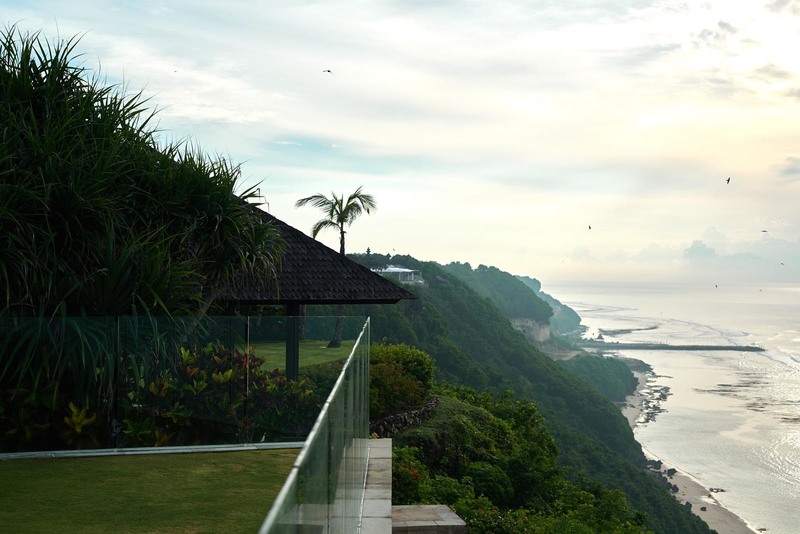 From Villa Chintamani, with its traditional Balinese deck, providing a space to catch the afternoon sun-rays, to Villa Nora and its prominent 25m-infinity pool and Villa Santai Sorga built high and split across two levels, to Villa Ambar with its’ capacious private garden, to Villa Jamadara with its’ heavenly outdoor baths, to Pawana with its effortless grandeur and finally Villa Tamarama, set up to be your ultimate home away from home. 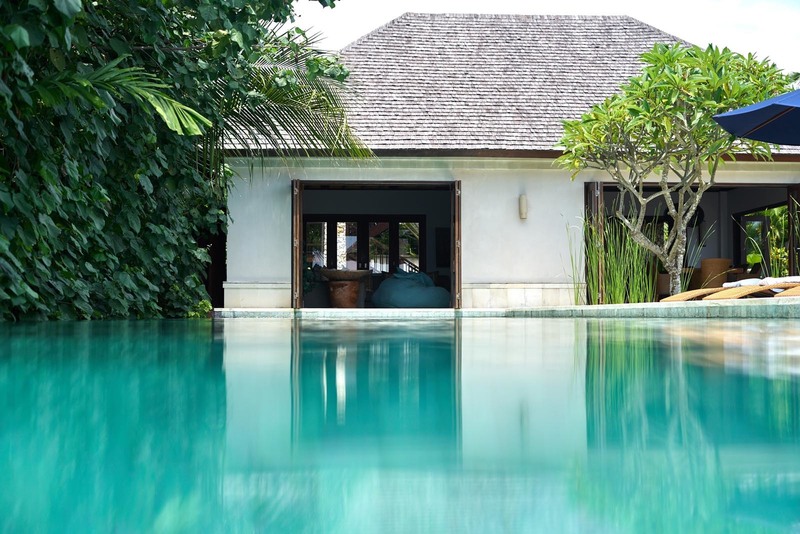 Each villa has their own full-time butler eager to meet each of your needs. 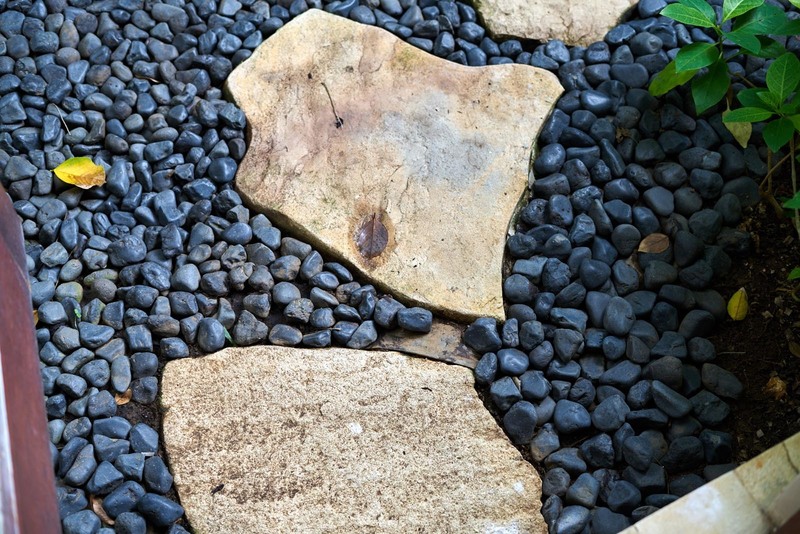 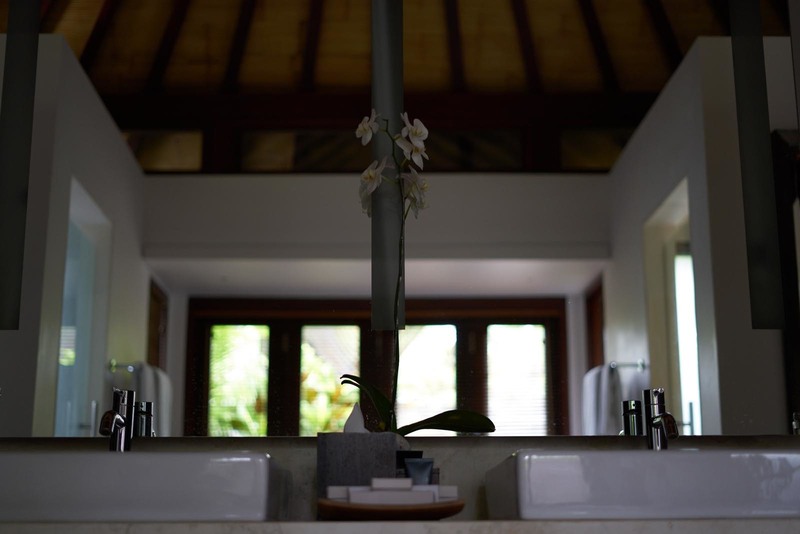 In a moment you can arrange a massage, a pot of steamy tea or a nanny to come and take care of the little ones. 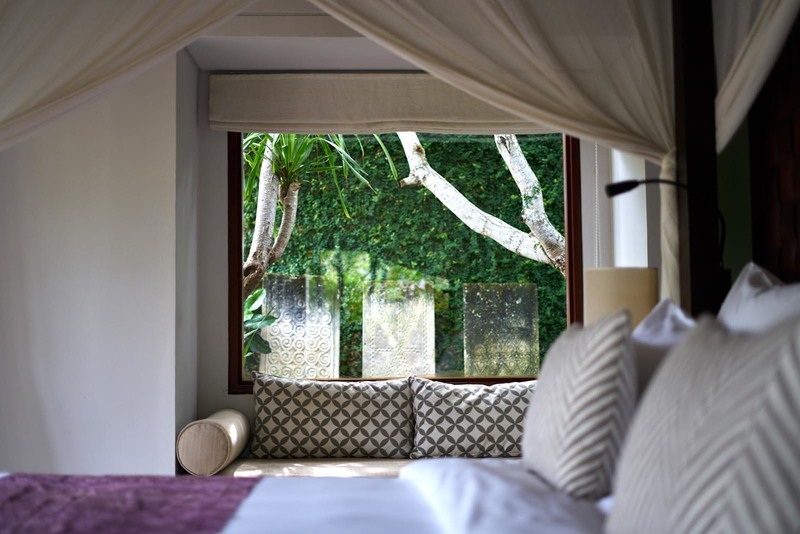 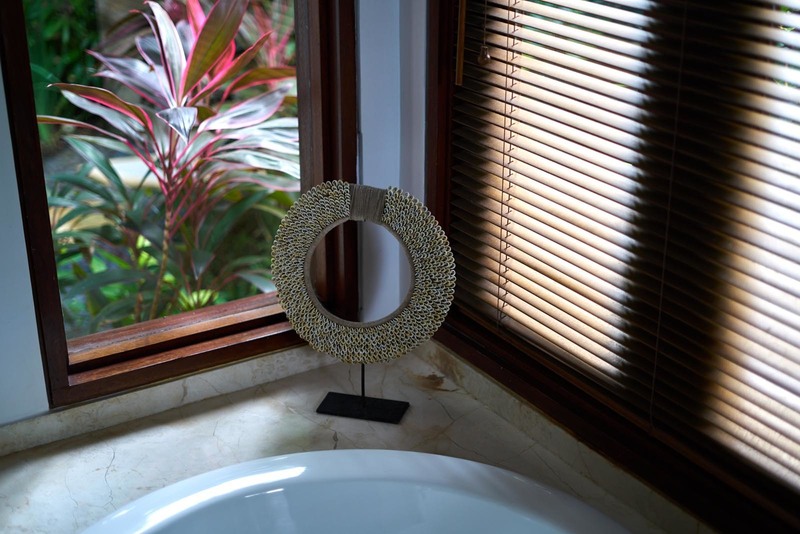 If you please, a driver can assigned be assigned to your Villa, to take you on an adventure into the mountains of Ubud or simply to restaurant in town. 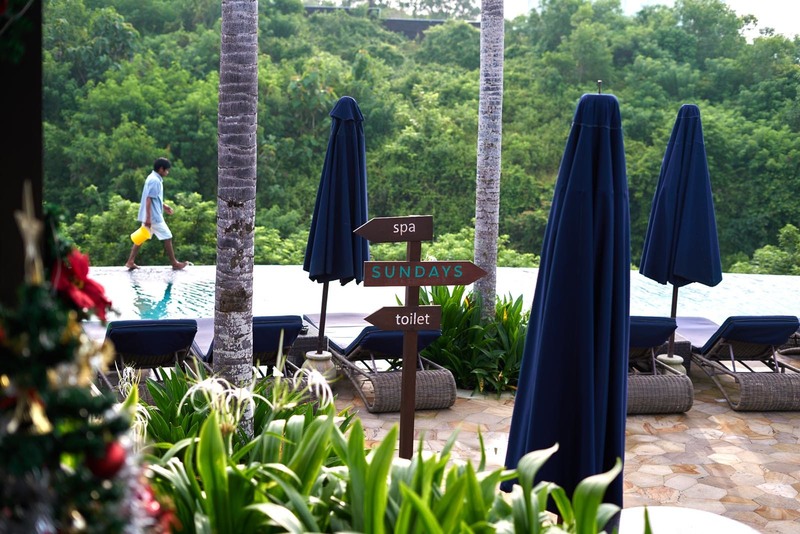 You really won’t have to walk at all, as a private buggy will take you around the grounds at your own leisure. 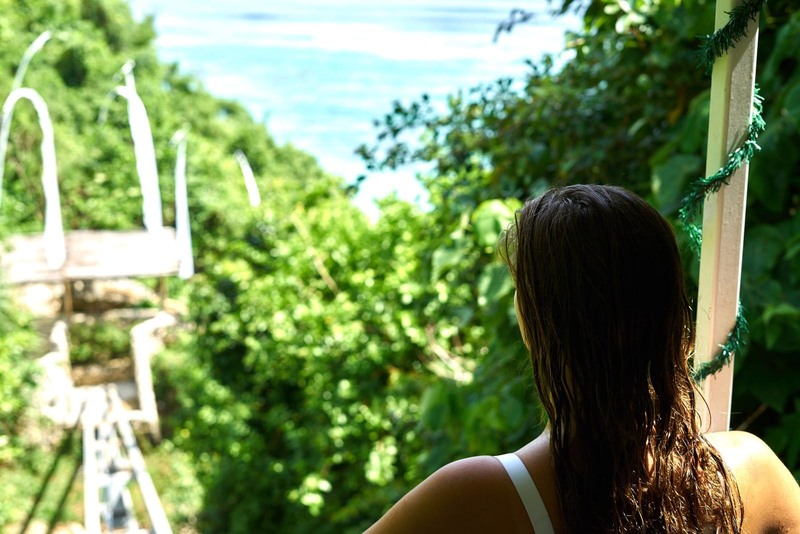 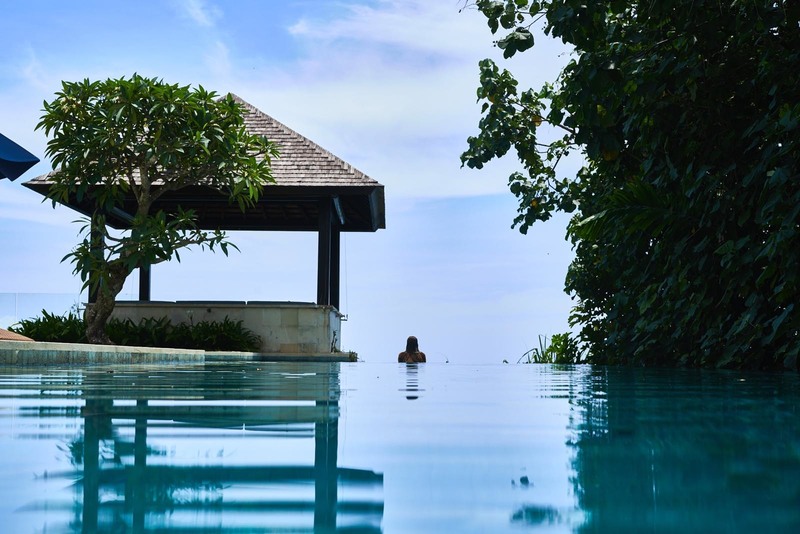 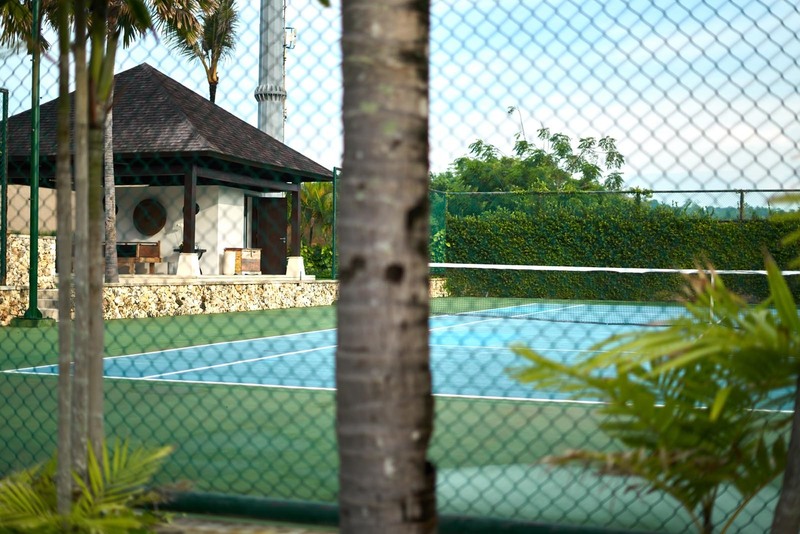 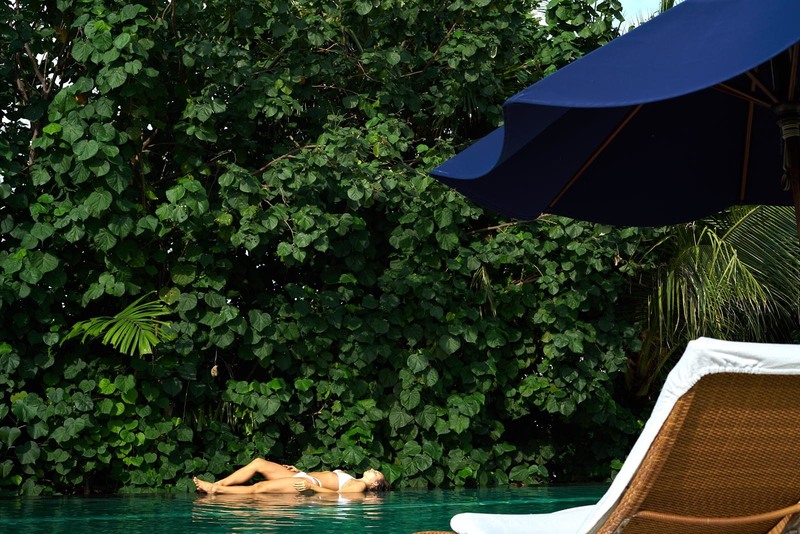 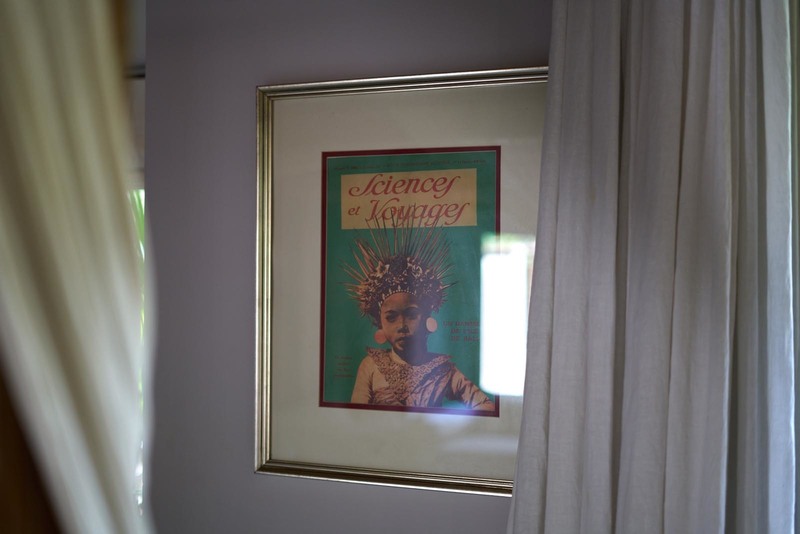 The grounds themselves are truly remarkable, with a tennis court, infinity pool and a gondola that sweeps through the forest canopy all the way down to the private beach. 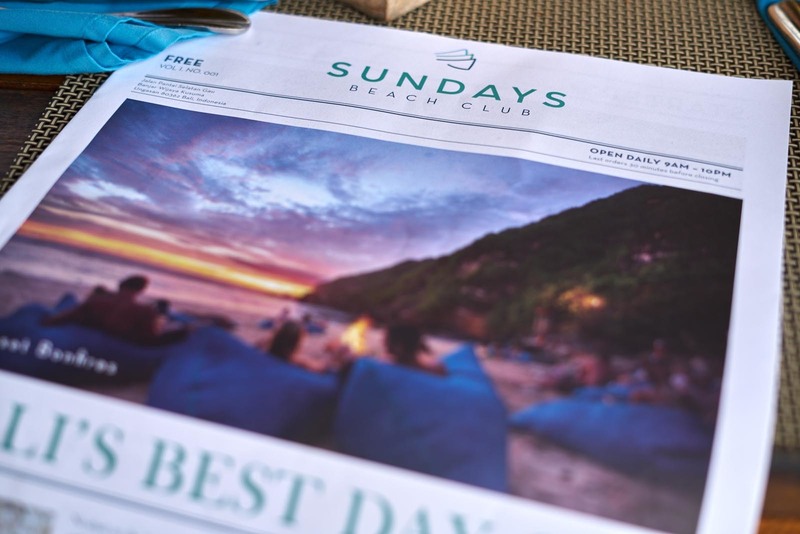 As a guest you have unrestricted access to Sundays Beach Club, which is stationed on the sandy grounds. 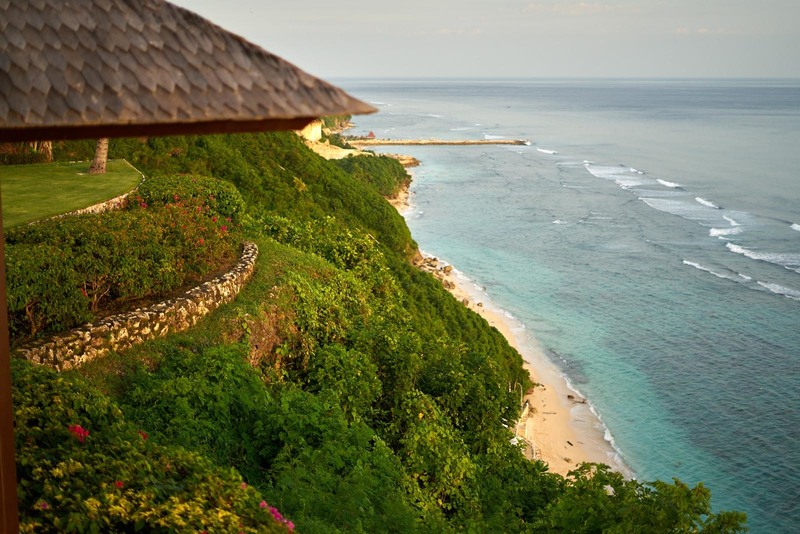 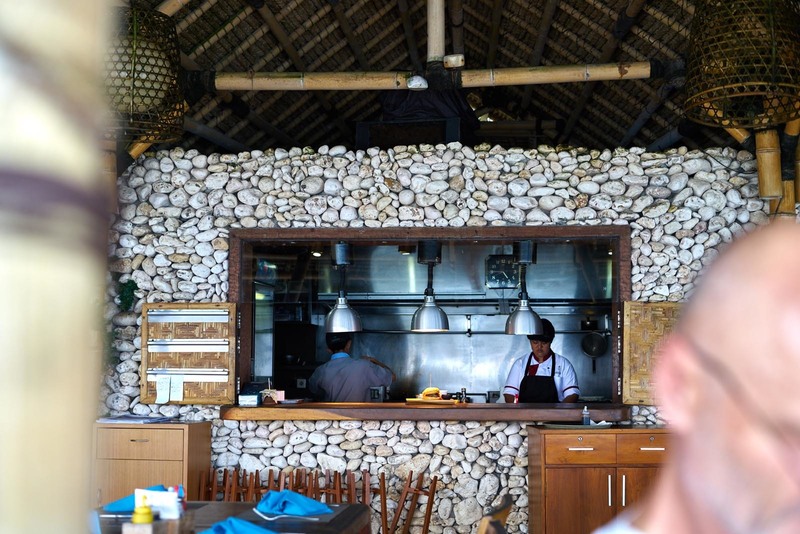 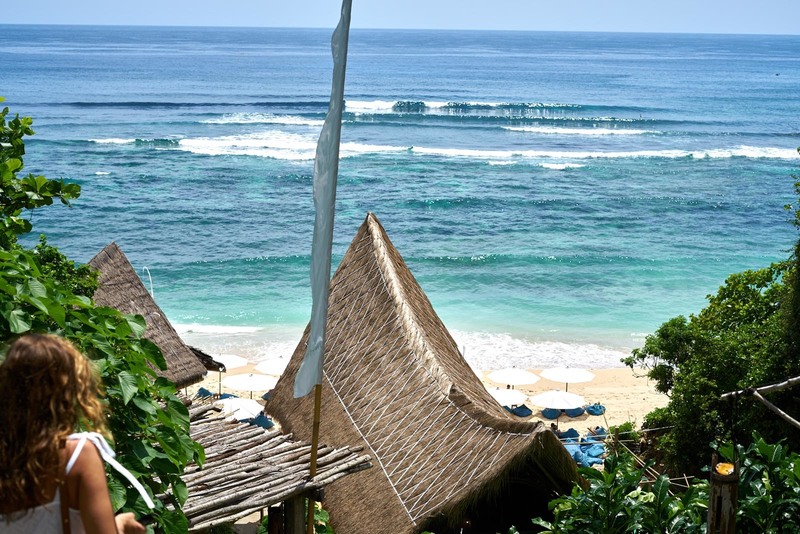 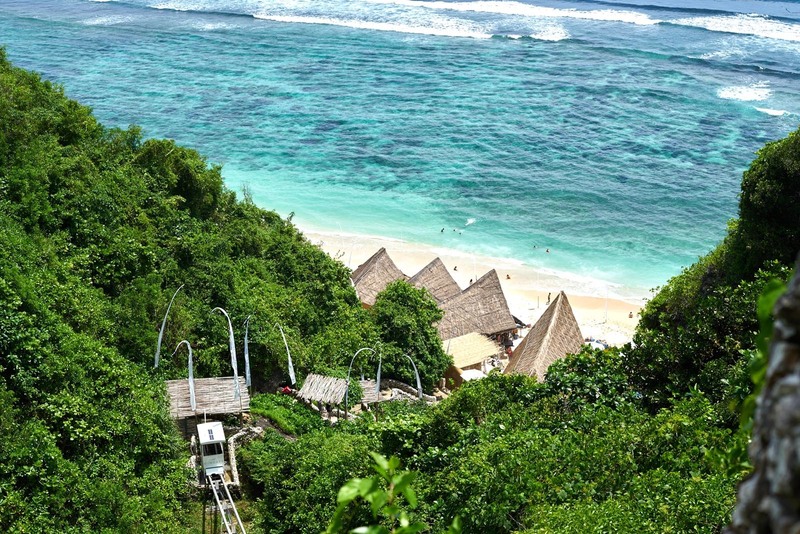 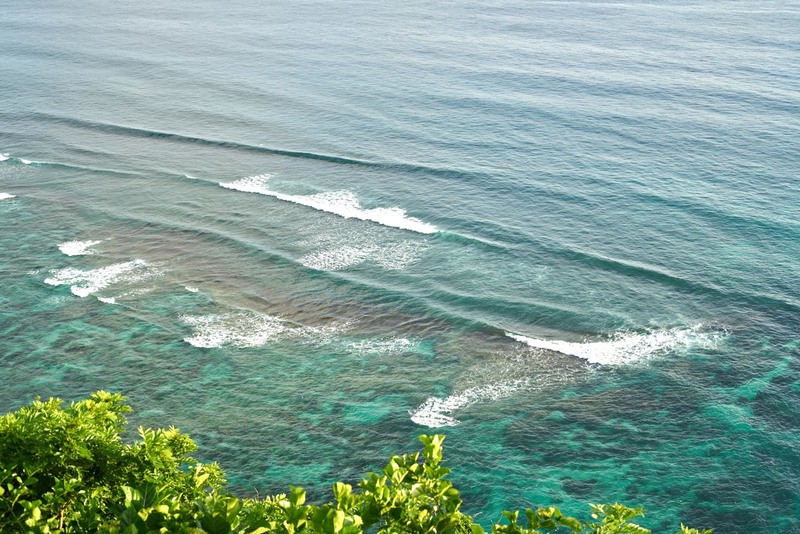 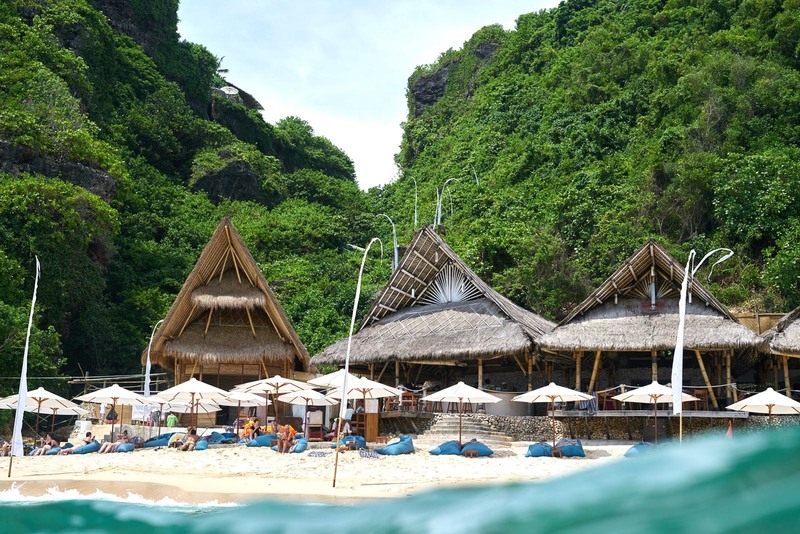 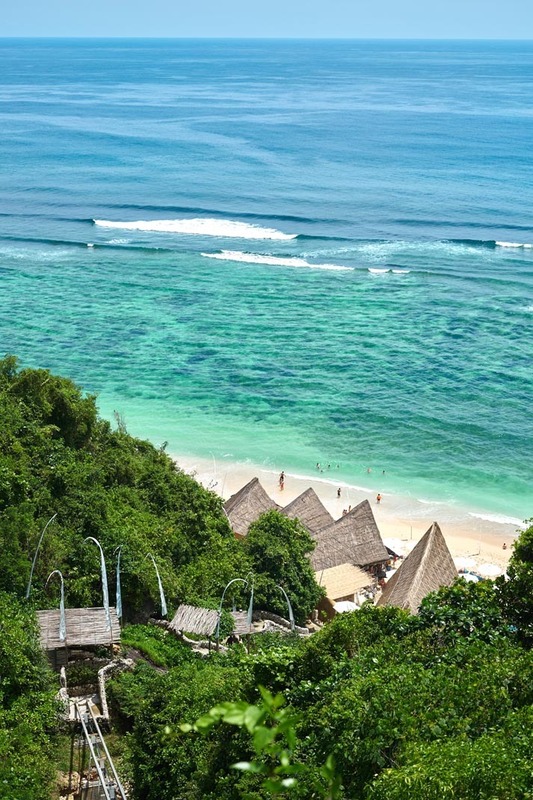 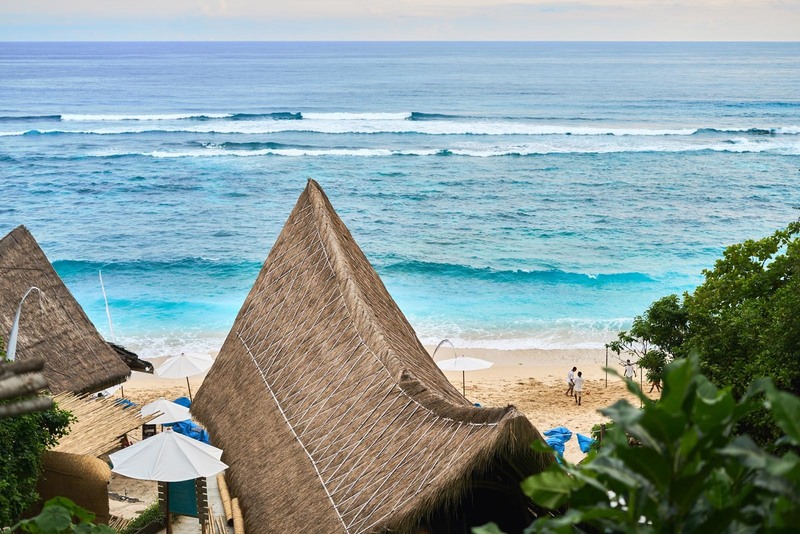 The restaurant is home to some of the best views in Uluwatu, a spot where the glistening sun sets over the ocean. 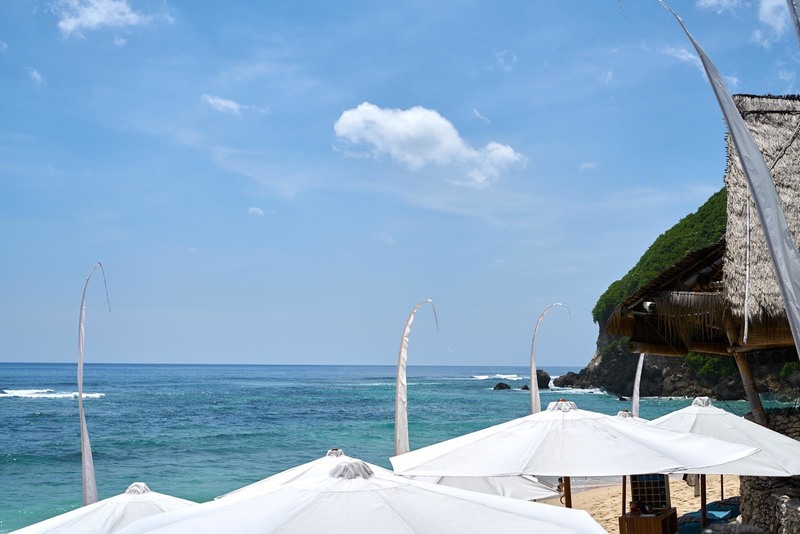 It is here you’ll find an array of wooden deck chairs and attentive butler service, and there really is nothing quite like a rosé in the afternoon sunshine. 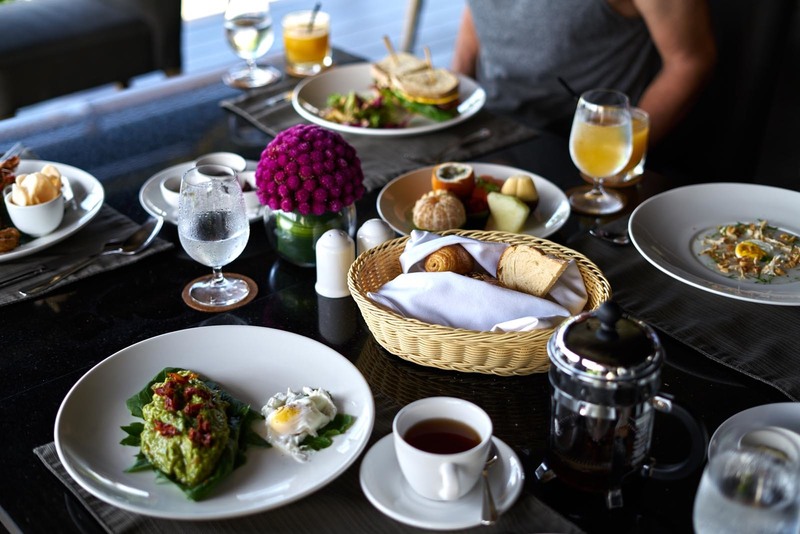 Breakfast is served daily in the main restaurant, overlooking the plunging infinity pool, which is set amongst the luscious rainforest backdrop. 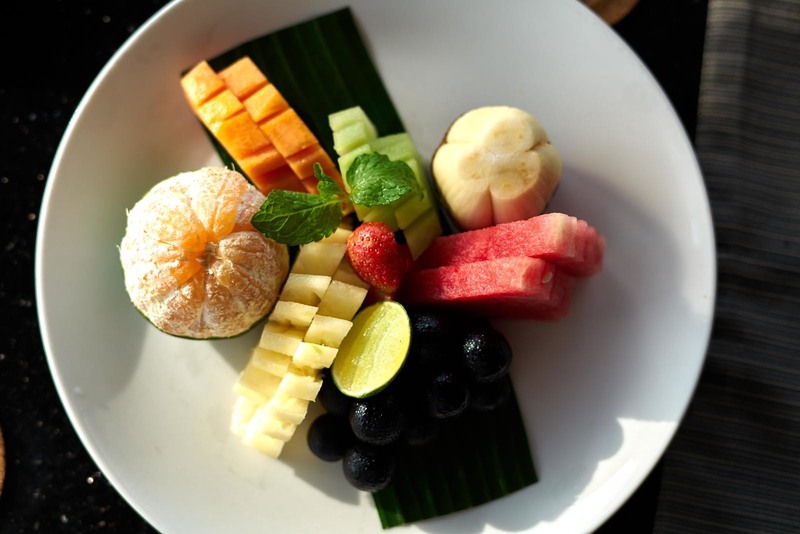 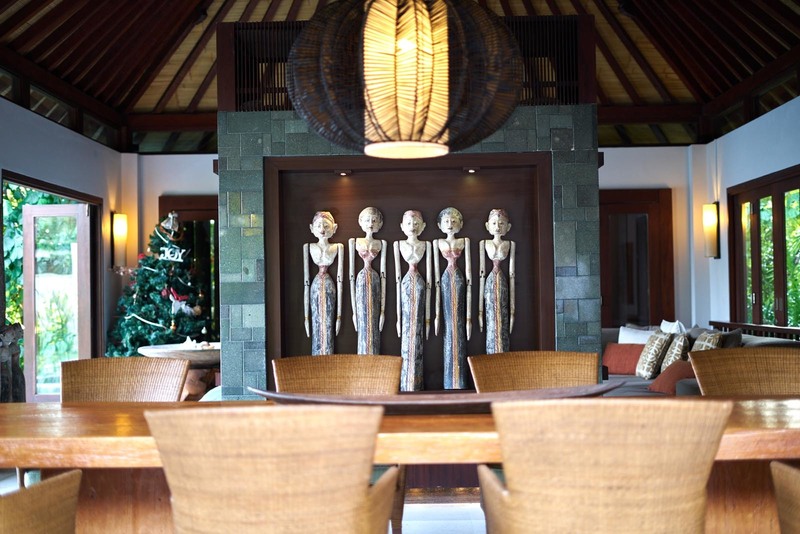 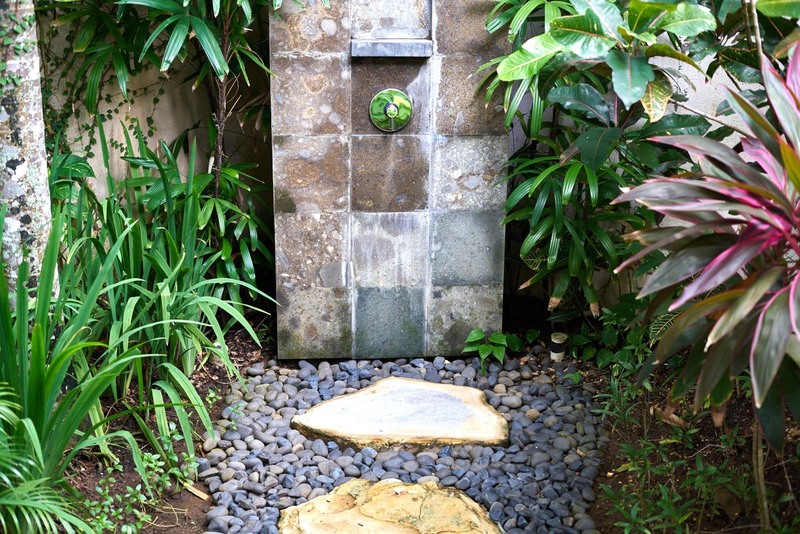 It is here that you can try glimpses of traditional Balinese food, with a delicate spin. 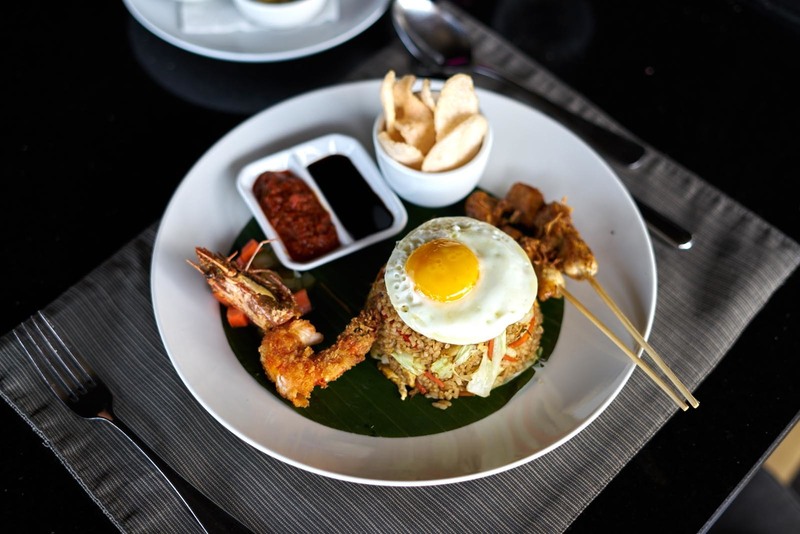 The Nasi Goreng is a true speciality; something your trip won’t be complete without – made on a base of fried rice fused with Balinese spices, vegetables and pops of seafood, served with satay chicken skewers and prawn crisps, all topped with a fried egg. 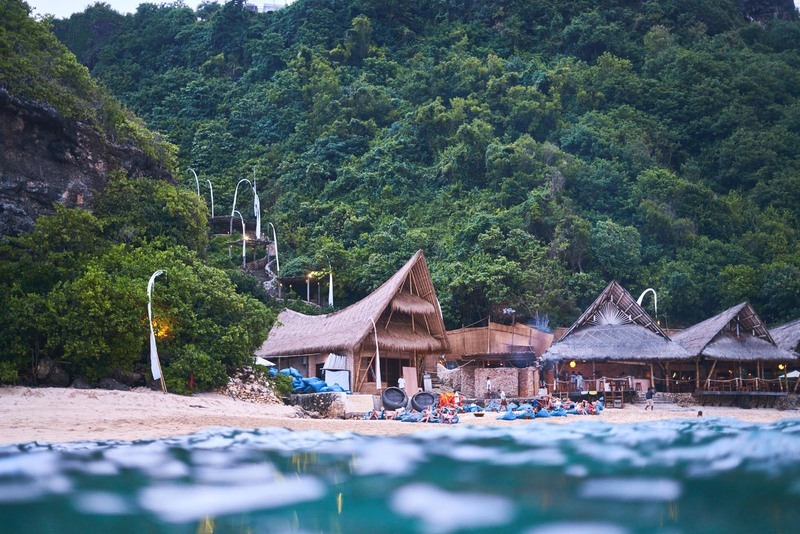 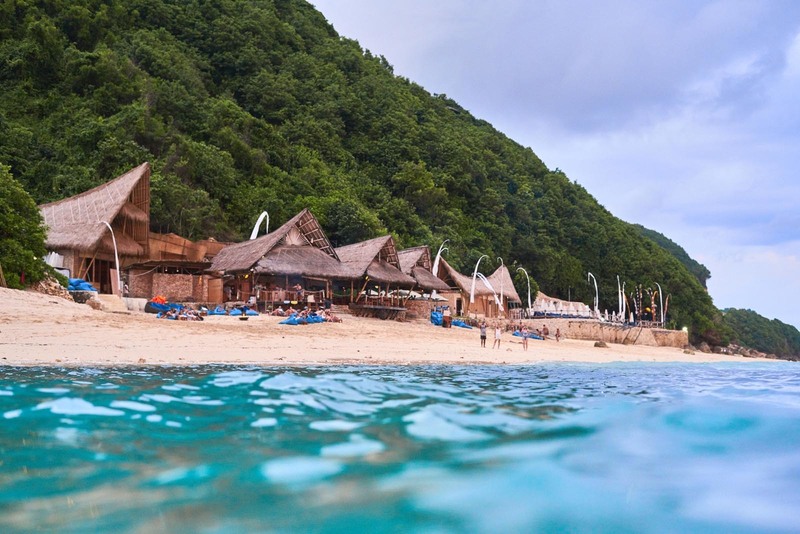 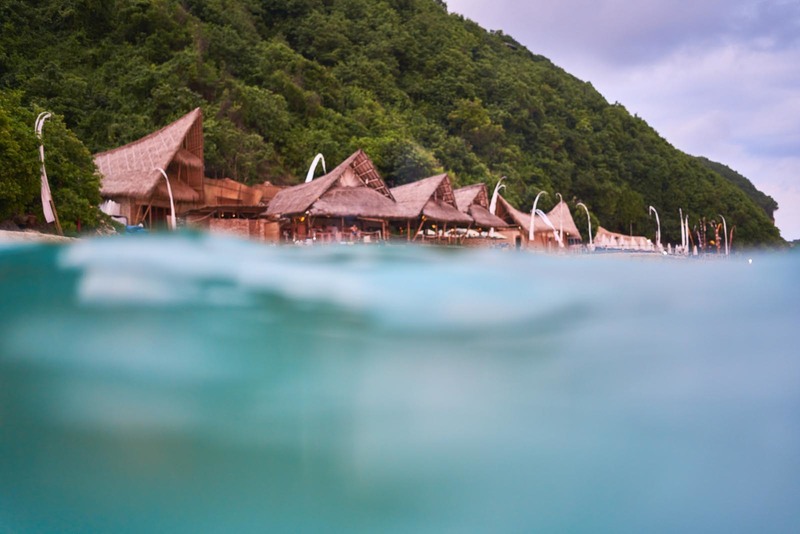 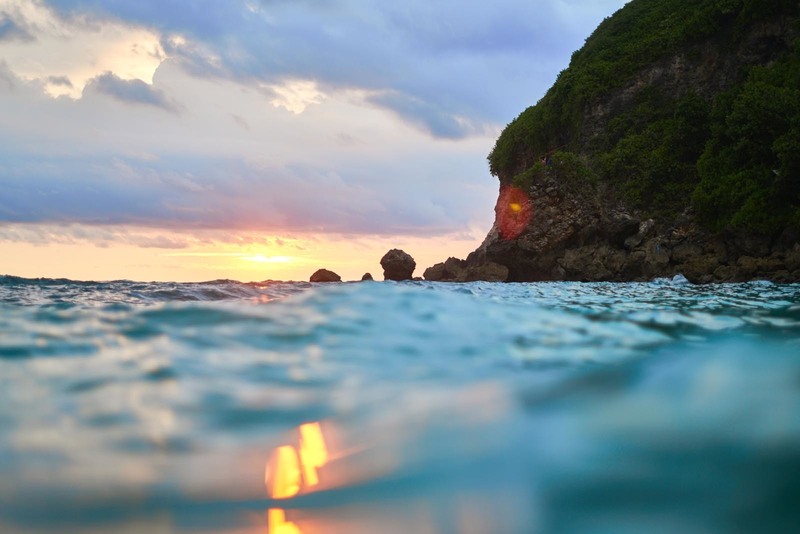 The Ungasan is a place that you wont forget, a place that will strip away the stressors of life and allow you to simply relax - while everything else is done around you.